Technology is increasingly complex and integrated, providing more business benefits than ever, and enabling organisations to create and sustain competitive advantage. The rapid rate of change also implies that organisations must deal with an increased rate of digital obsolescence. In turn, this implies increased IT running and maintenance costs to keep up with the fast changing environment. Functional obsolescence i.e. a reduction in the usefulness or desirability of an object because of an outdated design feature, the changes in either hardware or software result in an incompatibility. Technological obsolescence i.e. a product which is no longer technically superior to other similar products, is no longer supported as it has reached its end-of-life (EOL) or is not available anymore. Logistical obsolescence i.e. the ability to access the software is limited or terminates. Proactive obsolescence planning require up-to-date inventory of equipment and vendor information, covering all people-process-technology related aspects: who is using the system, how is their usage critical to the business, what value is generated from their work, what processes does the system enable or support, what is the technical architecture, infrastructure, hardware, software, customisation / configuration, middleware, what is the maintenance and license cost, what are the alternative ways of working, what other technology or solution exist out there, what are competitors, customers and suppliers using / doing in that space, what other vendors are providing which solution and what is their product roadmap, etc. 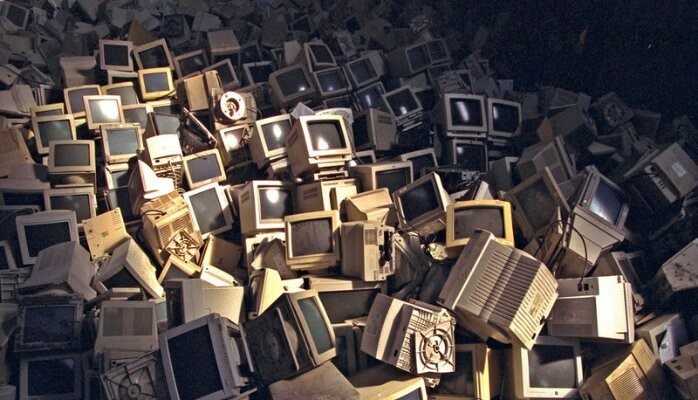 Obsolescence is a measure of an asset’s loss in value resulting from a reduction in the performance of the asset relative to its current expectations. IT departments must forecast, plan and anticipate future business needs, growth aspirations, and keep up-to-date with market trends and technology evolution. In the manufacturing sector, enterprise solutions typically have long lifecycle; it can take years to select, implement and deploy new digital capabilities. There is often a risk that the organisation will try to ‘sweat‘ the asset until it reaches it EOL without considering potential business impact from the status quo – while competitors might be getting technical edge by robustly maintaining their digital roadmap. “Fix it before it’s broke” or mitigate the associated risks; rather than simply follow the “if it ain’t broke, don’t fix it” approach. Product Lifecycle Management (PLM) is defined as the operating model enabling product realisation [create, make, sell, service, re-iterate, re-use or re-cycle] – which include solutions that are managed up to their decommissioning. PLM belongs to the product development and enterprise IT landscape, requiring extensive analysis and configuration when implemented. It can take months and often years to select and implement the full benefits of PLM – hence it is more difficult to retire or replace existing legacy PLM. Additionally, PLM is never used out-of-the-box (OOTB) as it requires process and people configuration, ERP integration and other IT interfaces. Engineering and manufacturing complex data integration and evolution toward modern standards and requirements (e.g. industrial IoT, big data, cloud, industry 4.0 vision, smart factories and hyperconnectivity, etc.). Technology and digitalisation roadmaps: continuously study incumbent as well as other PLM vendor roadmap, not just when selecting new technology. Ongoing risk management and mitigation of potential obsolescence implications in terms of cost avoidance, business benefits, competitive advantage, current and future growth, business models, etc. Lifecycle approach to process and software obsolescence management (from technical architecture, technology selection, implementation, deployment, operations, and up to decommissioning of legacy applications and processes). Cost justification and management (ongoing business case) – including legacy decommission, upgrades and new implementations, etc. Adopt a lifecycle approach to manage ‘PLM lifecycle’, i.e. managing continuous improvement and capability roadmap from beginning-of-life (BOL) to end-of-life (EOL). Don’t wait until it’s broke to fix it! This does not mean adopting the latest software update as soon as it is available for the sake of having the latest version and new features. Use standards all the time; if not, make sure that they are being logged and assessed to become new / future standards or enhancement requests. Don’t compromise on innovation and consciously select new technology that will create business value; select what technical area, business domain to prioritise. Don’t fall behind on technology knowledge, competitive benchmark and roadmaps. This post was originally published on LinkedIn on 13 April 2016.